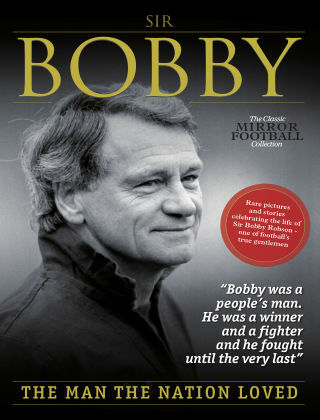 With Readly you can read A Tribute to Sir Bobby Robson and thousands of other magazines on your tablet and smartphone. Get access to all with just one subscription. New releases and back issues – all included. The life of a true North East legend is chronicled, with tributes from legendary figures in the game, recollections, archive stories and the very best from the extensive photographic archives of the Daily Mirror. His rich life is celebrated, from his early days as a player with England, Fulham and West Bromwich Albion, to his successful and varied managerial career. The finest England manager since Sir Alf Ramsey, Robson led unfashionable Ipswich Town to glory at home and abroad before spending eight years with the national side, his finest hour coming at the 1990 World Cup when he came so close to leading England to the final for the first time overseas. He enjoyed success with clubs in Holland, Portugal and Spain, including a memorable season at Barcelona with Jose Mourinho as his assistant before his dream move back to his hometown club Newcastle United, where he twice led the Magpies to Champions League qualification. His pride in the North East is documented through his work for charity, while his awards and achievements are also noted in this essential collection.